The expected output of the project is the enactment of a National Plan for the Integration of Care and of the related Guidelines. a) Raising the effectiveness and efficiency of existing informal support networks and of formal protection systems: health and social care integration is a way of helping the system to cope with rising demand, demographic change and significant funding restraints. b) Reducing caregivers’ burden, which has been recognised as one of the major barrier for an active engagement in the community and in the labour market. - providing a detailed analysis on the use and take up patterns of support measures and care services (including the consumption of drugs and medication). Such knowledge is urgently required to develop more efficient and sustainable pension, unemployment and healthcare schemes, as well as to prevent and tackle frailty in older age more appropriately. - carrying out an accurate evaluation of the economic and financial aspects of the good practices of integrated care models. - organising exchanges on policies, good practice and innovative approaches and promoting mutual learning in the context of the social protection and inclusion strategy. 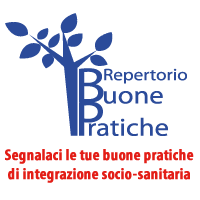 - raising awareness and promoting the debate about the key challenges raised by the integration of care among the social partners, regional and local actors, NGOs and other stakeholders.